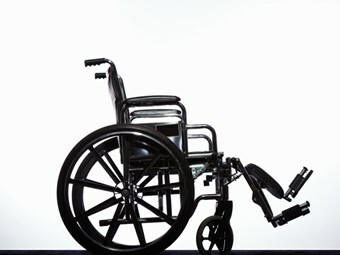 At least one Victorian bus operator has received State Government correspondence indicating that responsibility for bus services transporting disabled children will move from the Victorian Government’s Department of Education to DisabilityCare Australia, the NDIS. Currently, state government agencies are responsible for bus service contract procurement and contract regulation. It is understood that under the NDIS, federal responsibility for the bus services will be rolled out across Australia, starting in the Geelong area, with contract tendering and contract rationalisation a future possibility. Bus Association Victoria (BusVIC) Executive Director Chris Lowe says there are a lot of questions that need to be answered regarding federal management of services and the extent of federal responsibility for contracting and operating services. "There is a cloud of uncertainty around the whole institutional framework because of this proposed governance transition," Lowe says. "All we know is there will be a national disability insurance scheme, but we don’t know how that will affect the industry." Lowe believes industry needs a consultative group to work rigorously with NDIS to ensure operators' businesses are sustained and not at risk. "We need existing special school bus operators who have developed skills and expertise over decades to be sustained, because they have invested capital and have put generations into providing these services," Lowe says. "There shouldn’t be any risk to the sustainability of these operators’ contracts. At the same time the Federal Government needs certainty that our special children will be conveyed to and from school safely and efficiently." Lowe says if services fall under NDIS jurisdiction, the Federal Government could assign responsibility for procurement and management of services to state governments and ‘hypothecate funding to pay for the services from the revenue raised for the initiative’. Bus Industry Confederation (BIC) Executive Director Michael Apps says the national bus association is investigating the possible effects of the NDIS for the bus industry. "It does look like the NDIS will be managing transport for people with disabilities to school, but the detail of how they do that is another thing all together," Apps says. "We have just got to try and find out the details and ensure that whatever occurs they don’t try to fix something that ain’t broke. The delivery of those services has been operating well for a long time, and whilst they might come under the auspices of a federal body called the NDIS, the delivery mechanism shouldn’t necessarily change." Victoria’s Association for Children with a Disability Chief Executive Officer Elizabeth McGarry says bus services for disabled children have not been up to scratch, and contract rationalisation and service reviews should not been overlooked. "At times children have been on buses for up to two hours per trip – so two hours in the morning and two hours in the afternoon – because the buses drop people back at their home," McGarry says. "So it depends on what time in a roster that you are picked up that you end up staying on a bus, and for lots of children that has been really unacceptable and we have advocated for some time for the Victorian Government to actually look at what is in the best interest of children." McGarry says the problem is the 10-year bus contracts are too lengthy and inflexible. "The world and Australia is moving to a more flexible, individualised response to disability and children’s needs, and the current contracts don’t provide room for that type of flexibility," McGarry says. "We would be in favour of reviewing and taking the opportunity to see if there are better ways to support children well, and you would hope that outcomes would be beneficial both to the transport industry and to children, but ultimately the whole service is there to respond to the needs of children – that must be the primary purpose. "I think it is an opportune time for that to occur." A Victorian Education Department trial, Students with Disabilities Transport Program – Meeting Families’ Needs, will begin in 2014. The trial aims to evaluate different ways of transporting disabled children to schools.